assess the need for and effectiveness of maintenance activities. 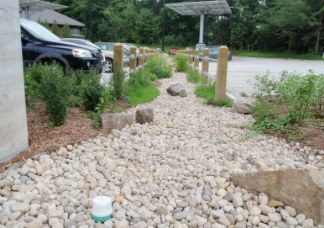 Results of the evaluation will be used to develop or refine policies and guidelines on the appropriate use and design of bioretention for parking lots and low to medium traffic roads. A final report is now available for download on the right side bar.